Obscure Acid Folk masterpiece from 1971. This obscure acoustic garage Acid Folk masterpiece was originally recorded in 1971 and pressed on 200 copies. 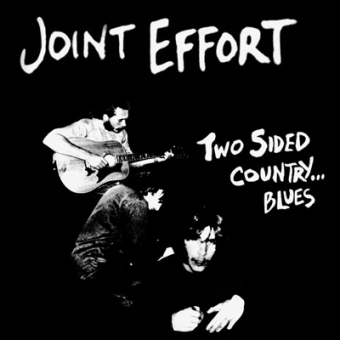 Joint Effort are from Detroit but don´t deny the mystic and loner hippie Westcoast feeling. They recorded all songs at home, most of the tracks were first takes and reflect a kind of freaky Beatles meeting Nirvana (Unplugged) jam session. They play trippy Raga Folk tunes with homemade effects, catchy vocals and very intense songwriting and Dylanesque protest against society. Favourites are "Stay High", "Things Look Changed", "Longest Tongue in the East" and "Citified Woman". This CD includes 2 unreleased bonus tracks, 4 original remixed tunes and linernotes. Enjoy these 70 mins of atmospheric acoustic space music!